A fresh round of complaints is making the rounds about Pattaya’s unused system of traffic lights, with new visitors to the city befuddled as to why the long-abandoned pedestrian-crossing signals don’t work. A group of tourists and locals assembled at Mike Shopping Mall March 2 to protest the broken Beach Road crossing light in front of the Soi 12 retail center. Pushing the button to request a red light that stops traffic doesn’t work, and hasn’t for at least a year, according to local businesspeople. There is no sense waiting for the pedestrian traffic lights to allow safe passage across the street, as they haven’t worked in a long time. That crossing isn’t the only inoperable one. 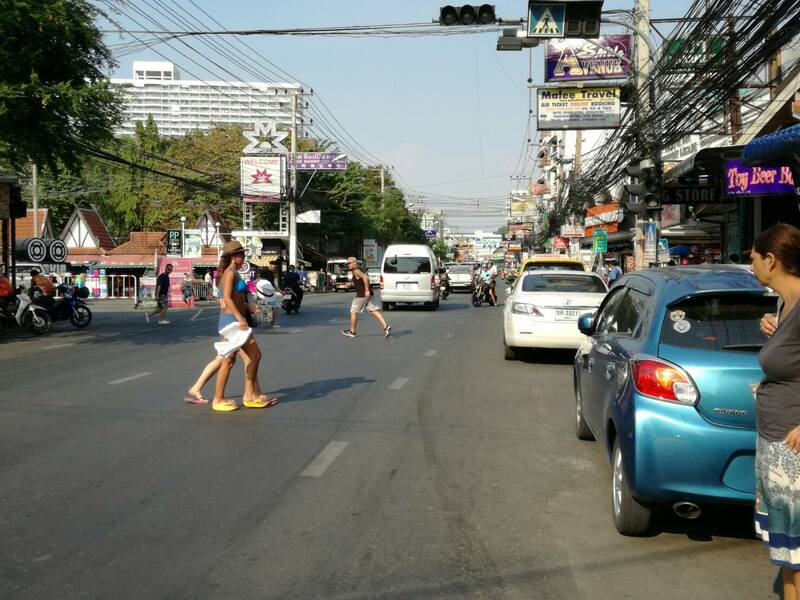 In fact, except for signals at major intersections, traffic lights either don’t work or are ignored throughout Pattaya – and have been for years. Pattaya’s network of 42 pedestrian-crossing lights are a case study in the expensive, wasteful – and some claim corrupt – projects undertaken by Pattaya’s former elected leaders from 2008-16. The project officially was declared a failure in February 2011 when traffic police asked the city to turn off the lights on weekdays until a better system could be designed. It never was. For a while, the lights just blinked yellow from 8 a.m. Monday to 1 p.m. Friday. Pattaya traffic police officials said operating red and green lights during the week simply created too much traffic congestion. 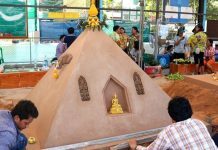 Launched Nov. 1, 2010, the pet project of former Mayor Itthiphol Kunplome was billed as a way to improve safety for tourists and bring order to Pattaya’s crazy streets. Almost immediately, however, the signals – some separated by as few as 50 meters – were ridiculed and all but ignored by drivers who simply blew through red lights. Among those ignoring the lights were Pattaya’s police officers, who were captured on video speeding through zebra crossing as pedestrians tried to cross. The city tried to salvage the program by posting banners, sending informational sound trucks into the streets and having police monitor selected crossings. But, in the end, the only ones to benefit from the lights was the city hall-connected contractor hired to install them. In the years since, it’s been a game of chicken with speeding cars for tourists while authorities busied themselves with painting no-parking zones and bus stops.